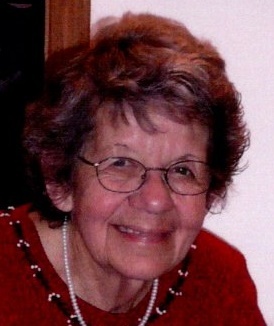 Patricia A. Happ age 88 of Wheatland, WI passed away January 26, 2019. She was born in Niles, IL on April 28, 1930. 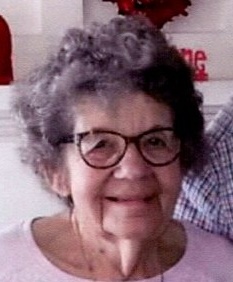 The daughter of the late Daniel and Hilda (Baumann) Donavon. On June 6, 1953 in Glenview, IL she was united in marriage to Donald Happ. Don and Pat owned and operated Happ’s Vegetable Farm for 27 years. After her retirement she helped out at Happ’s Pumpkin Patch where she was the Employee of the Year for 20 years running. She enjoyed sewing, quilting and knitting. She collected Bears and had a passion for Halloween. Patricia also helped out with Meals on Wheels. Survived by her husband Donald, mother to Kenneth (Patricia) Happ, Donald Happ, Laura (Robert) Banike and Beverly Zak. Grandmother of Angela (Jake) Schenk, Ryan Banike, Jennifer Happ, Matthew (Joelle) Happ and Courtney Zak (Jack Boening). Great Grandmother to Cooper Happ, Austin Happ, Aubree Happ, Ellena Happ, Ada Schenk and Eula Schenk. She was preceded in death by her sister Delores Tompkins, Grandson Joshua Zak and Son in Law Robert Zak. Funeral Services will be held on Saturday February 9, 2019 at 1:00PM at Haase-Lockwood & Associates Funeral Homes 620 Legion Dr. Twin Lakes, WI. 53181. The family will receive friends from 10:00AM until the time of services. Committal services will be held on Monday February 11, 2019 at 1:00PM at the Southeastern Wisconsin Veterans Memorial Cemetery in Union Grove, WI. Memorials Shorewood Cocker Rescue Attn: Donna Pfngster Treasurer 2106 Blackbridge Rd. Janesville, WI. 53545 Online condolences Haaselockwoodfhs.com.